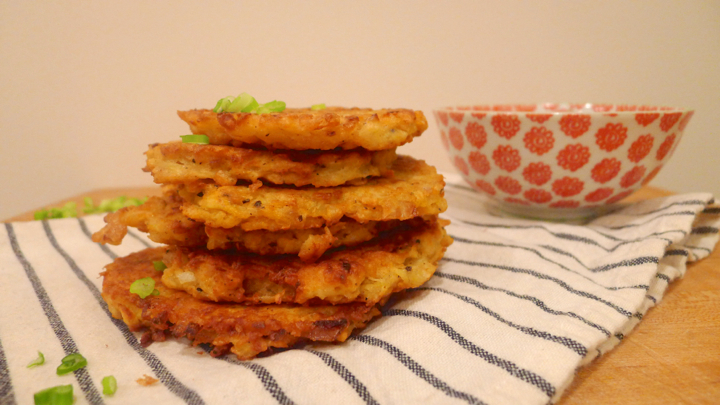 Nothing is more satisfying to me than a crispy latke covered in apple sauce and/or sour cream. It’s comfort food at its best. 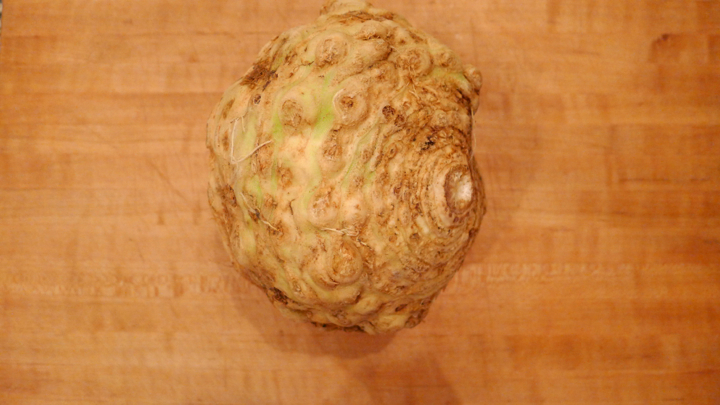 I had some celeriac (aka celery root) which is a root vegetable that tastes like celery and parsnip had a baby. It is definitely not the prettiest vegetable, but it’s delicious! I also like to simply boil it and mash it. Tastes like light mashed potatoes! 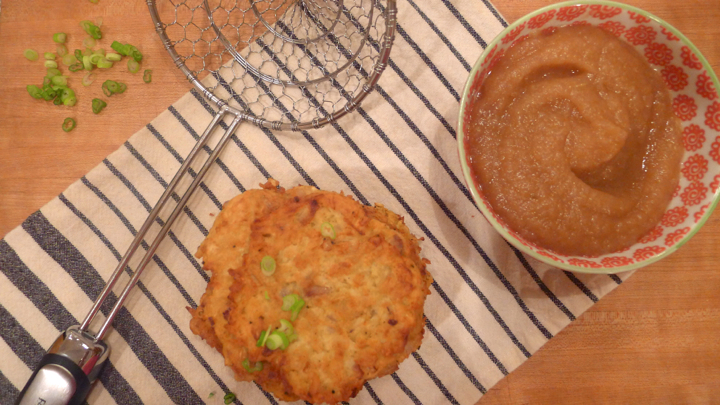 I didn’t have any sour cream on hand, but I did have some apples and decided to make some easy homemade applesauce to dip my latkes in. 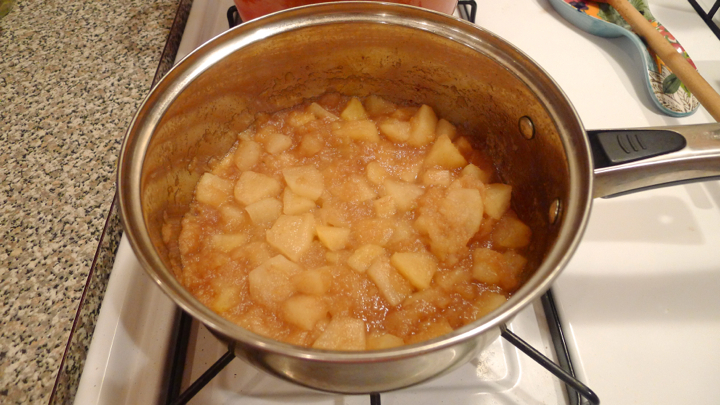 Applesauce is the easiest thing in the world to make by the way, just 4 ingredients boiled together then blended. I recommend making your own! 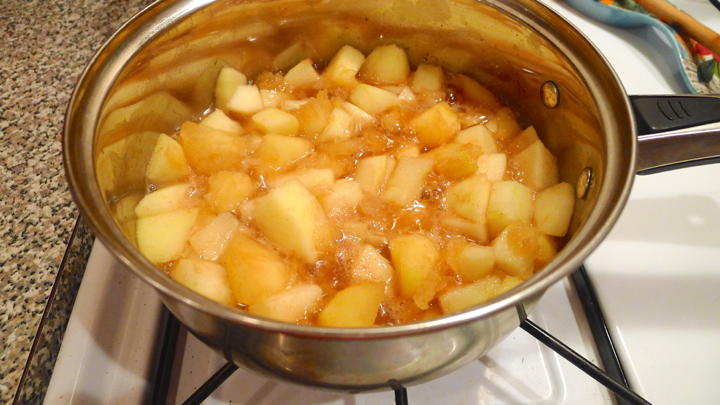 If making your own applesauce, simply place all the ingredients in a small saucepan and bring to a boil. Reduce the heat and let simmer for 20 minutes. 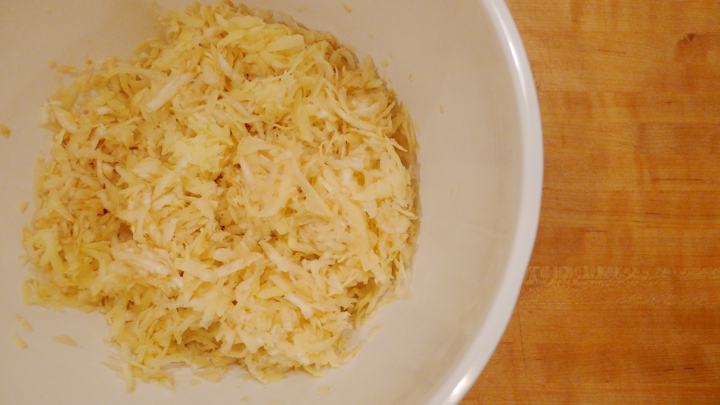 Place in a food processor and blend until smooth. Set aside to cool. And try not to eat it all before the latkes are ready! 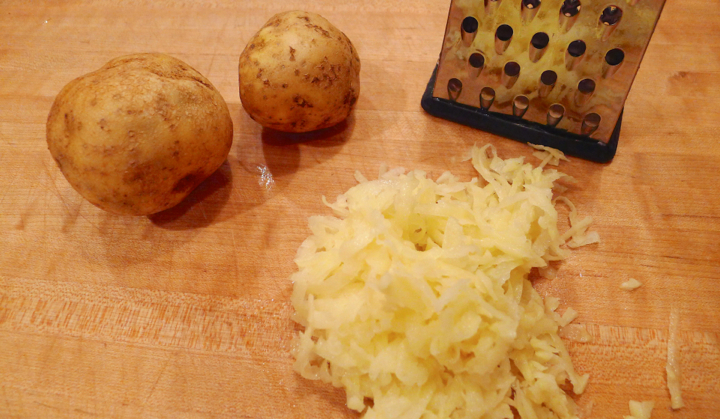 For the latkes, place the grated potato and celery root in a bowl with the salt. 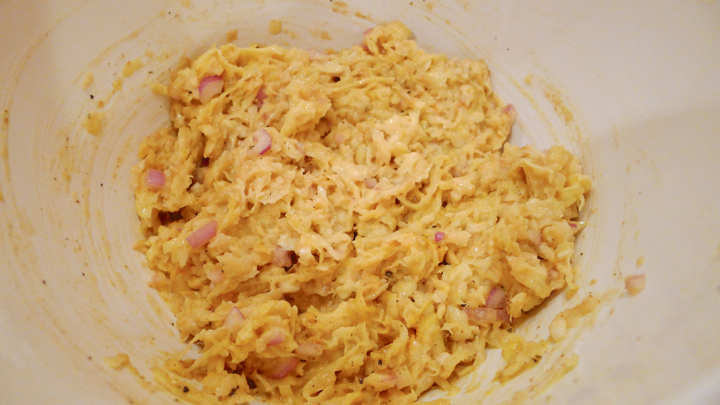 Mix well, then place in a colander and let drain for about an hour. 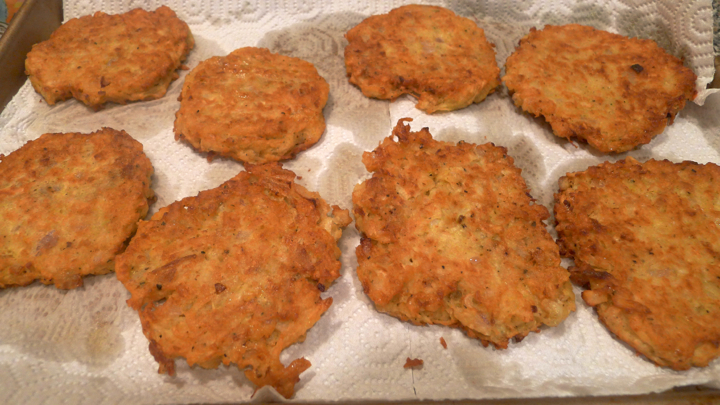 Basically the salt will pull out the moisture here, helping the latkes to be crispy and hold together later. Next, squeeze out as much of the moisture as you can, than transfer to a large bowl. 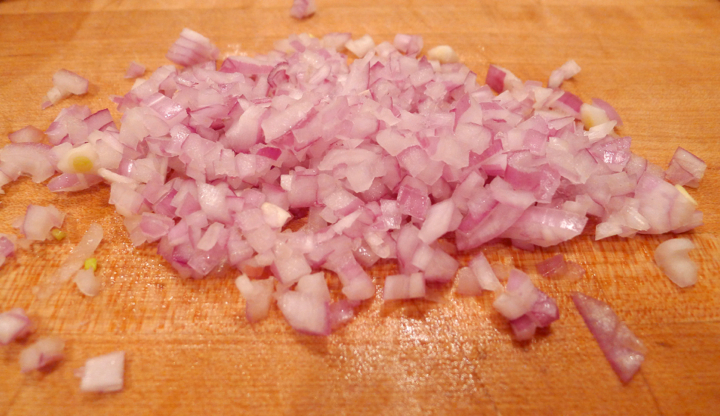 Add the shallot, eggs, flour, and spices – pepper, cumin, coriander and turmeric. Cover and place in fridge for about 30 minutes. Line a baking sheet with paper towels (to absorb the oil after frying.) In a large skillet, heat the oil over medium heat. To test the oil you can drop a little water into the pan to see if it sizzles. 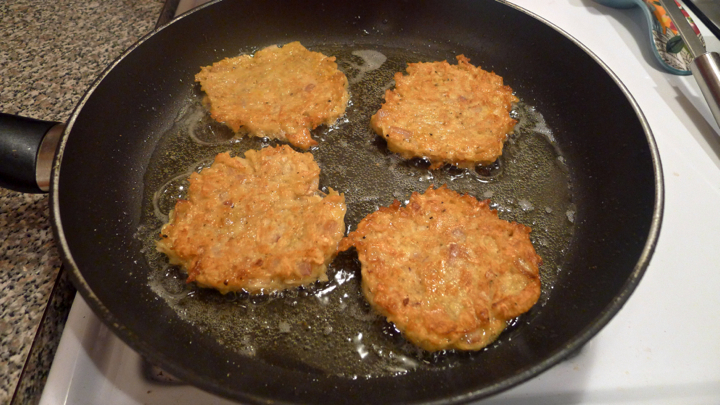 Form the latkes one by one into a 1/2 inch thick patty, and place into the skillet. Flatten a little with your fingers (be careful!) or with the tip of your spatula. I usually fry 4 at a time. Cook for about 3-4 minutes per side, or until golden brown. Transfer to the baking sheet, and continue with frying the rest. 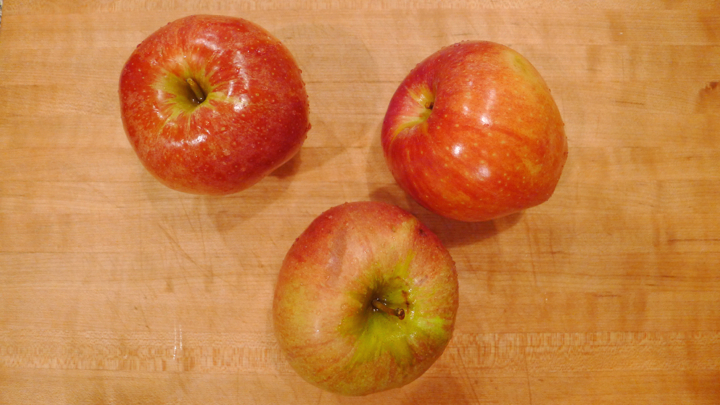 Enjoy with apple sauce, or perhaps some sour cream. OR ALL OF IT!